When Sega CD launched in the early 90s, most people saw it as the future of gaming. Luckily it wasn’t because most of the games ended up being interactive movies with good presentation and barely existent gameplay. 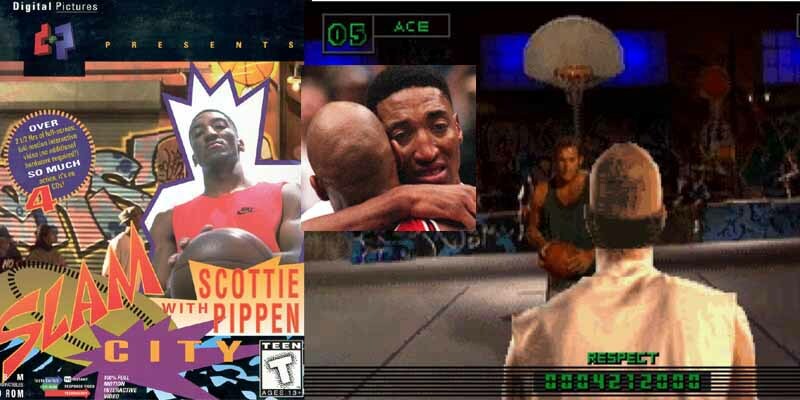 One of the games very guilty of this was Slam City with Scottie Pippen. In this game you play as a streetballer called Ace who has to beat a bunch of other streetballers one on one before facing off against Pip himself. It ended up being an interactive movie with the most cringeworthy acting you’ve ever seen and the only “gameplay” it had was pressing a button at the right time to make different cutscenes play.